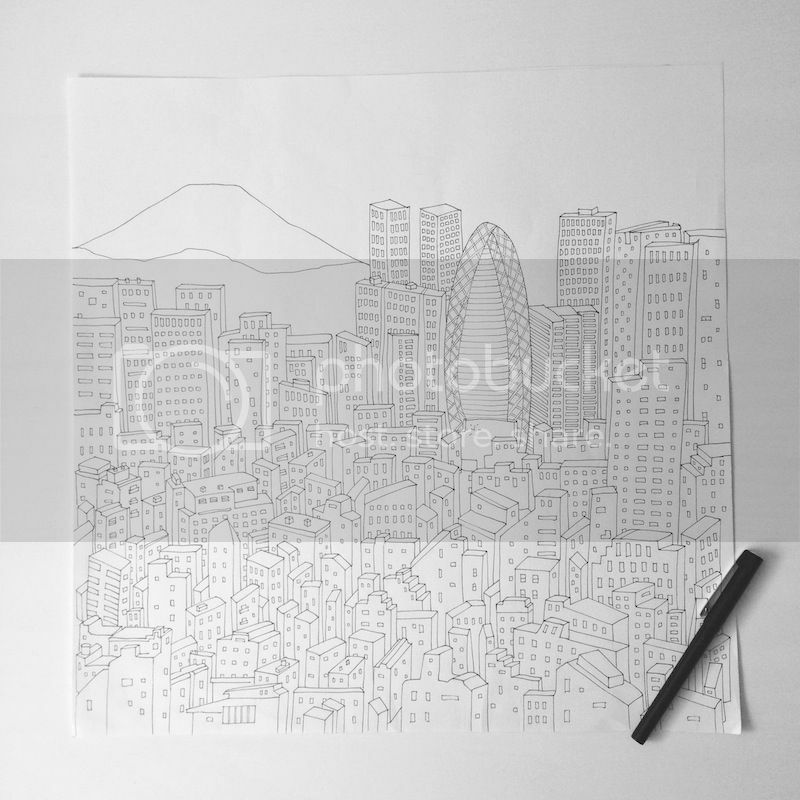 I've finished the linework for Tokyo! I still have a bit to do on it, I'm going to be illustrating a range of elements for the border - there's just too many Japanese quirks that you can't really simplify into just the buildings! From the brief few days we were there, we saw lots of colourful and wonderful things, but the buildings themselves were mostly grey or beige! I'll be injecting a bit more colour through the border and illustrating some of the fun things we spotted during our time there.